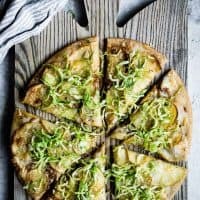 Three-cheese fall roasted potato pizza baked with layers of roasted potatoes and garlic, rosemary oil, and caramelized shallots, then topped with a rosemary shaved brussels sprout slaw just before serving. As a kid, I was strictly a pepperoni, mushrooms, and olives kind of pizza-eater. Don’t get me wrong, that’s still a classic epic combo, but more often I now crave fall pizza loaded with thinly sliced roasted potatoes. You might doubt me, but when you think about it, it’s really just a sophisticated version of cheese fries, but on top of pizza. 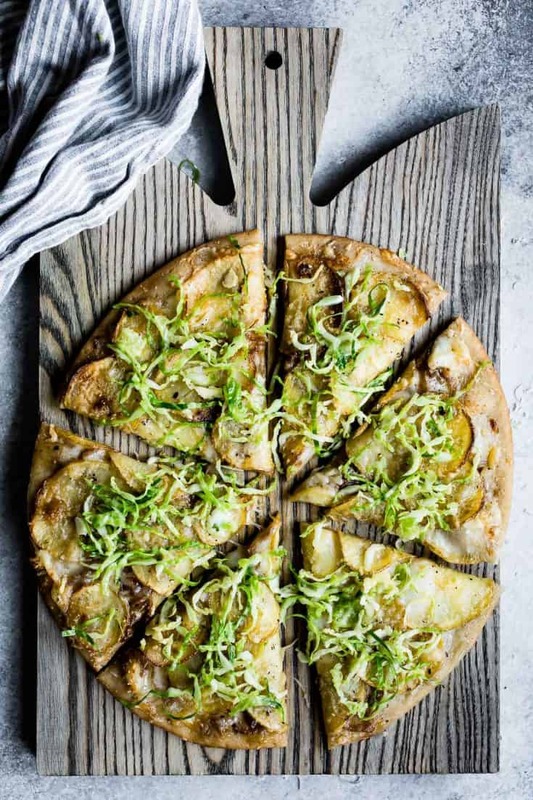 This roasted potato pizza hits all those sophisticated elements – rosemary oil, layers of roasted potatoes and garlic, caramelized shallots, and shaved brussels sprouts slaw – with a healthy dose of cheese to tie it all together. 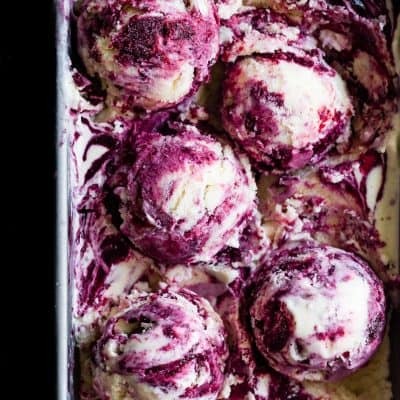 This recipe is the first post in a partnership series with OXO. 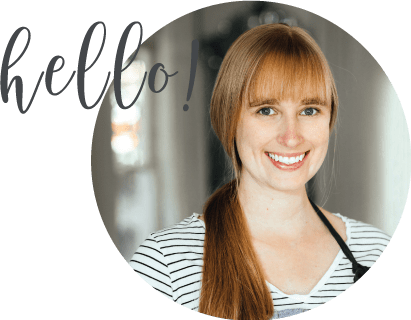 Long before starting a blog, I had a very strong loyalty to OXO’s kitchen tools. 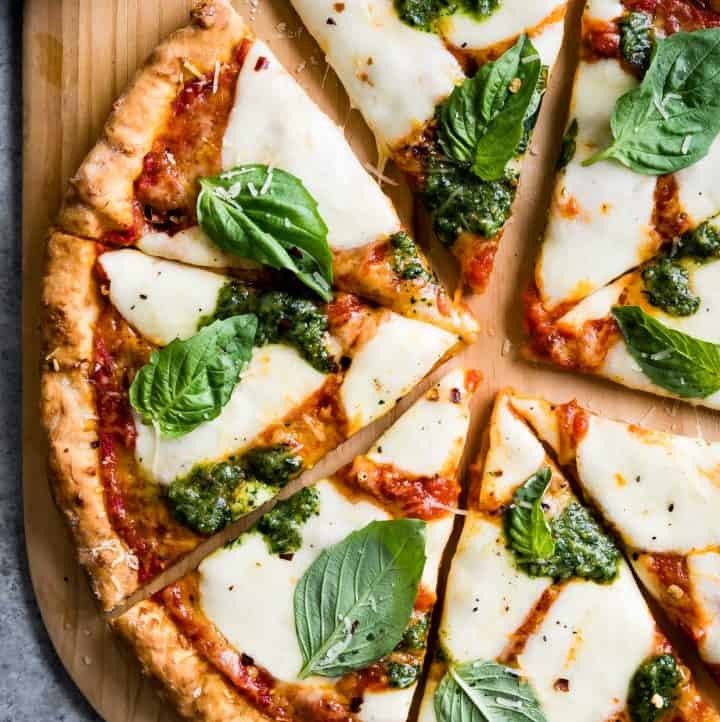 While the nooks and crannies of my cabinets are already loaded with OXO gadgets, they sent me a few new tools to try out, most notably of which was their Chef’s Mandoline Slicer 2.0, which motivated this pizza recipe. We registered for a mandoline when we got married, but it wasn’t purchased. I held off on buying it myself, fearing that I’d probably wind up cutting my fingertips off anyway (if anyone were going to do that, it would be me). In the meantime, I was given a hand-me-down mandoline that was a pain to use and never really worked well (possibly why it was handed down?). Still, I continued to pull it out over the years, hoping this time would be different. It wasn’t. It never was. Accordingly, I fully expected OXO Chef’s Mandoline to induce a headache and work not nearly as well as my food processor to be worth it. 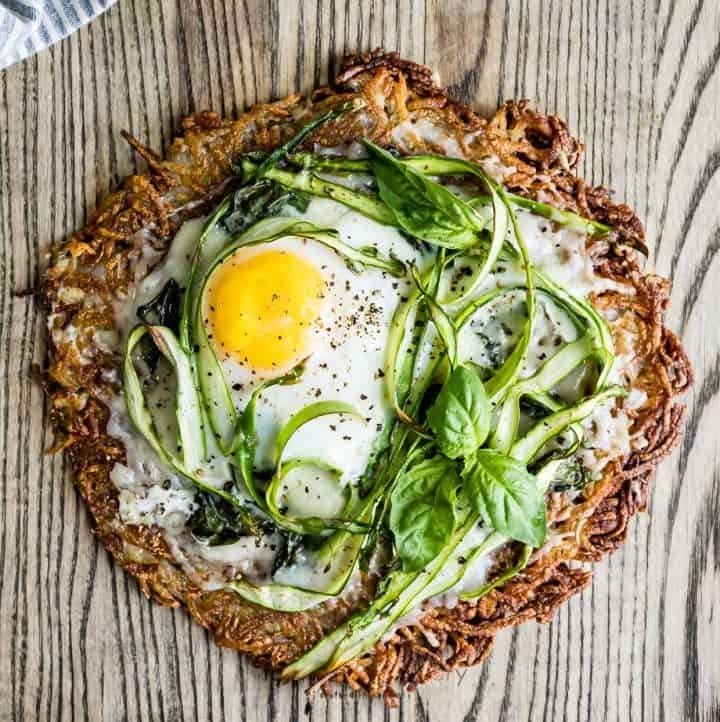 With half a yukon gold potato face-down on the mandoline and the spring-loaded food holder just barely resting on top to hold the vegetable in place, the potato slid like silk, dropping perfect golden potato rounds beneath. With the spring-loaded food holder, I don’t have to forcefully pierce hard vegetables to control them down the mandoline and my fingertips are kept far from the blade. The result is way more consistent than my food processor, with far less clean-up. 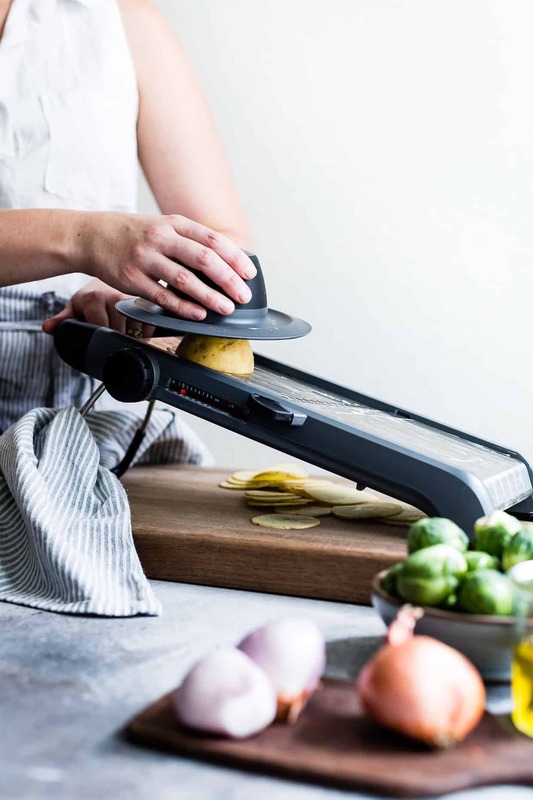 For something like roasted potatoes for pizza, the Chef’s Mandoline allows you to quickly cut precise even slices that bake more evenly on the sheet pan. Then change the thickness setting and slice shallot rings just as rapidly. 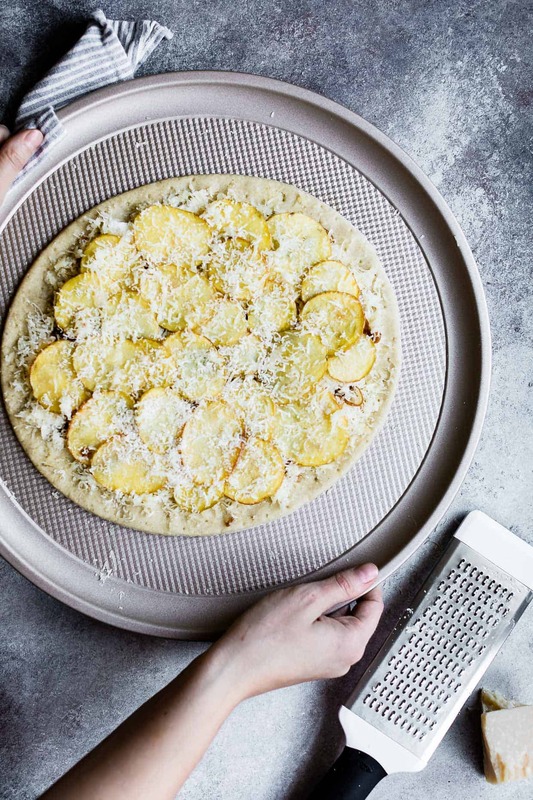 This roasted potato pizza draws topping inspiration from Cheeseboard Pizza – a Berkeley institution that serves only one pie choice per day – always seasonal, always vegetarian, always an epically long line. 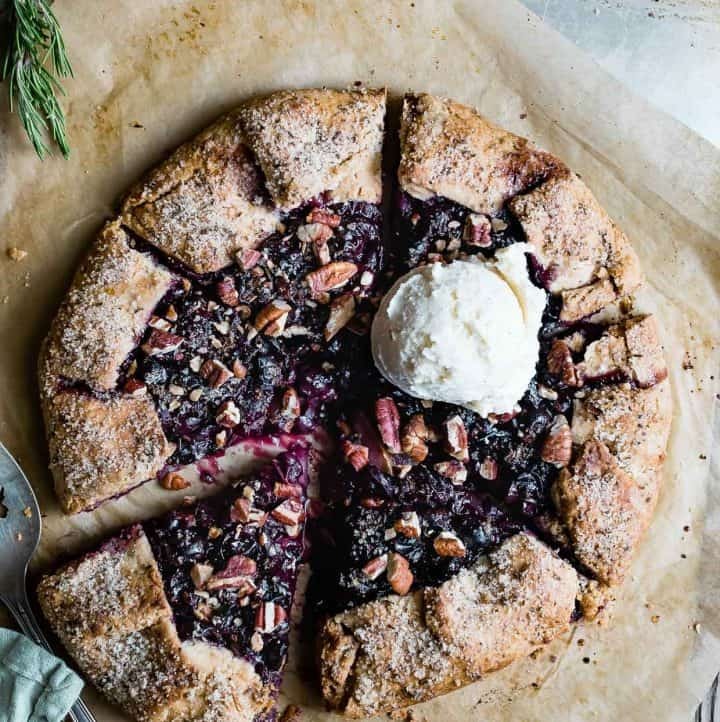 One of the most popular pies has roasted potatoes and rosemary oil. 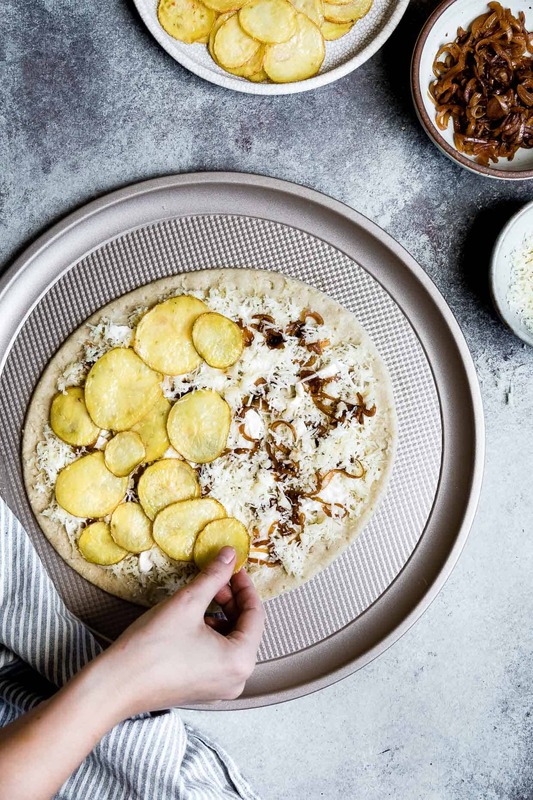 Before the slaw gets tossed on top, this at-home version of that roasted potato pizza is toddler-approved. If I’m being honest, though, she does only eat the toppings. She picks up the pizza, tip to the sky, and munches through the cheesy potatoes like a very hungry caterpillar, leaving the entire crust underneath intact. Contrastingly, her friend Joey only eats “pizza bread,” which is pizza with all the toppings and sauce removed (basically breadsticks, which, amusingly, he will not eat). Toddlers are weird, but these two seem compatibly matched, right?. What’s more, in true How I Met Your Mother romance-style, Zoella loves olives, while Joey does not. Toddler friendship fate. 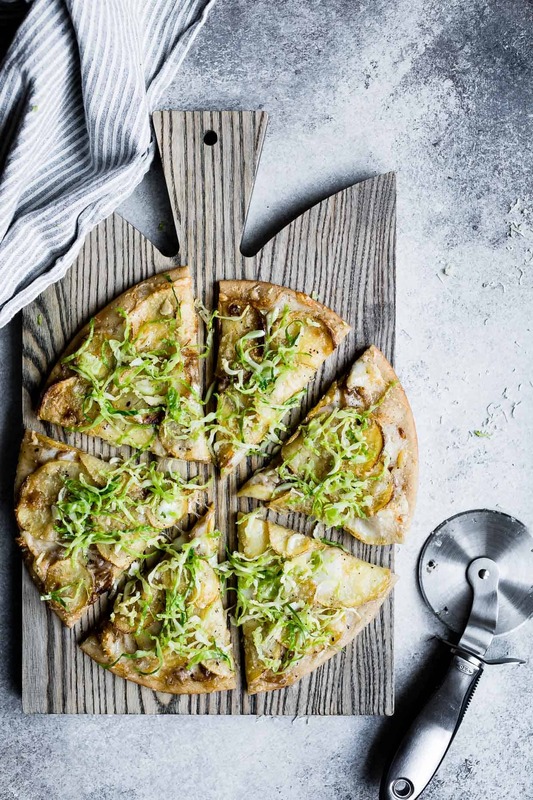 To make this roasted potato pizza a little more adult-exciting, I topped it with a brussels sprouts slaw that I quickly shredded with OXO’s hand-held mini vegetable slicer – also without any fear of slicing my fingertips (I’m 2 for 2 in the safety department). While roasting the potato rounds in advance, they turn golden brown with little crispy roasted edges and soft centers that pair beautifully with a trio of fresh mozzarella, gruyère, and parmesan, roasted garlic, and rosemary oil. 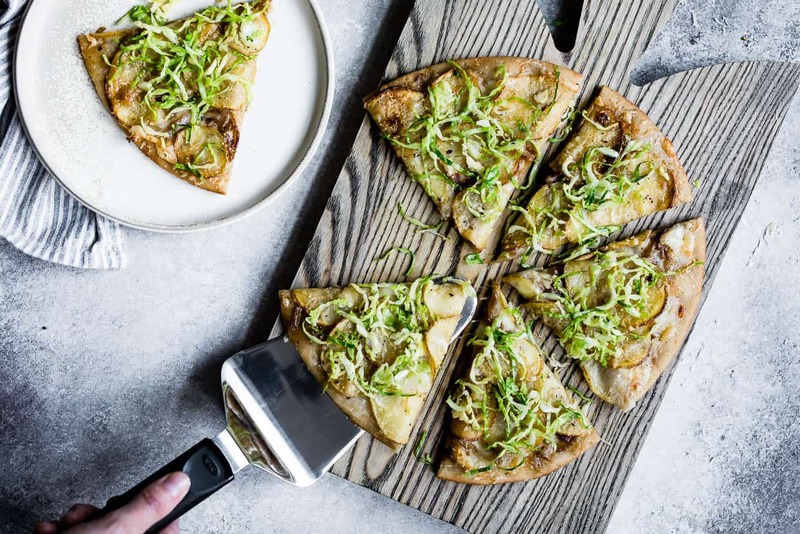 Caramelized shallots give a note of savory sweetness and the fresh shaved brussels sprouts slaw balances it with a little vinegar acidity. I ate this pizza three days in a row and never tired of it. 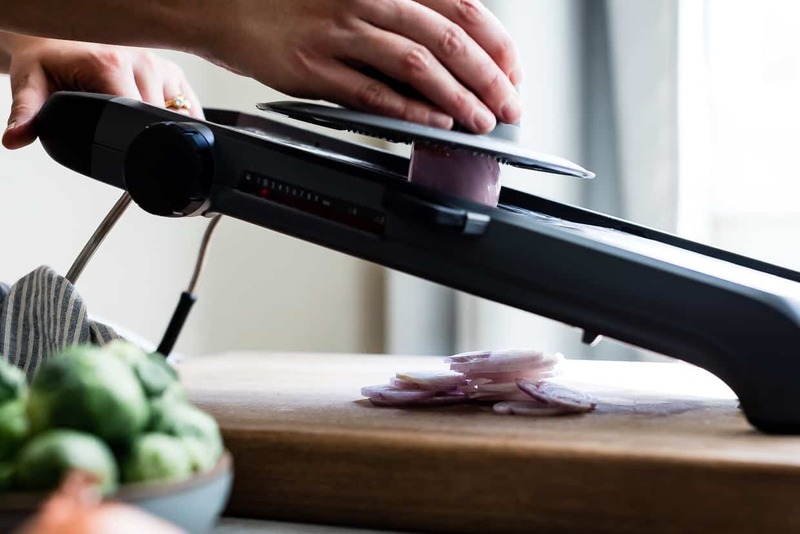 Head over to OXO to see more photos of the mandoline in action! 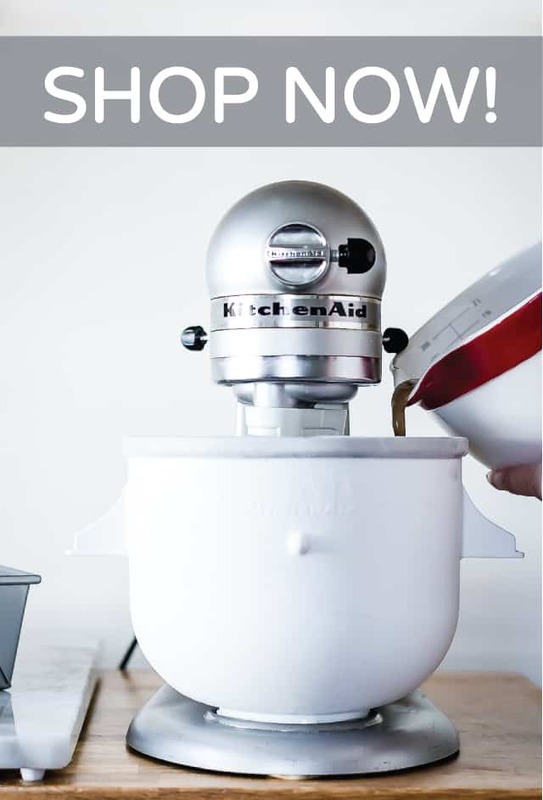 Disclosure: Special thanks to OXO for providing the tools shown above and sponsoring this post! And thanks to you for supporting the companies that keep Snixy Kitchen cooking! Heat the olive oil and rosemary sprigs in a small saucepan over medium-low heat until just beginning to bubble. Remove from heat and cover for 10-15 minutes. 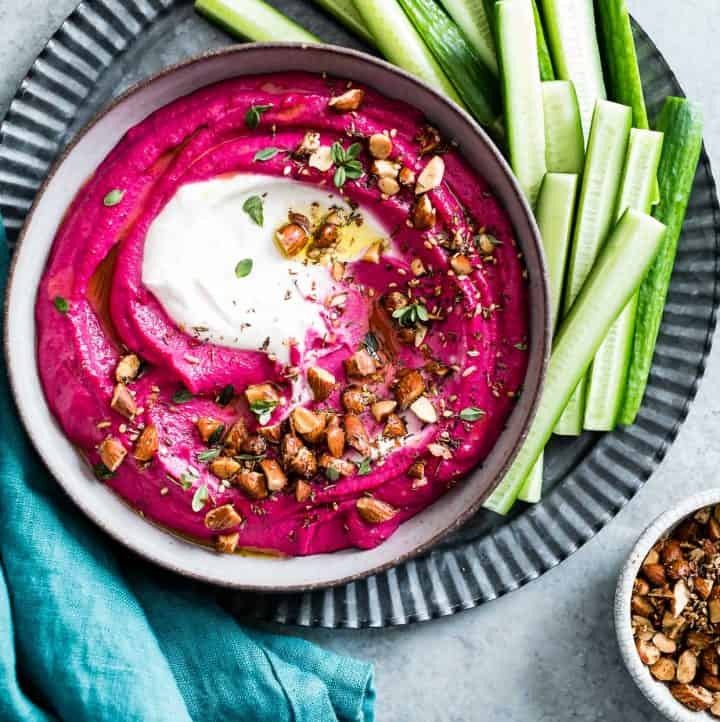 Transfer to a heat-proof jar while you prepare the rest of the ingredients. Thinly slice the potatoes using the OXO Chef’s Mandoline Slicer 2.0 set to one notch below 1/8-inch. Toss the potatoes in 1 tablespoon of the rosemary olive oil and 1/2 teaspoon of salt. Spread the potatoes out in a thin layer on a large parchment-lined baking sheet. 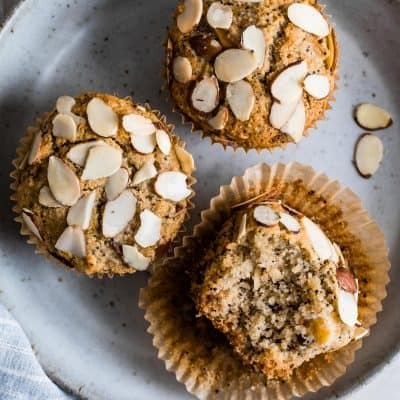 Place the garlic cloves on one end of the baking sheet and bake for 16-20 minutes until the potatoes just begin to soften and the edges turn brown. Remove from heat and set the potatoes aside. While the potatoes cook, prepare the shallots. Thinly slice the shallots using the OXO Chef’s Mandoline Slicer 2.0 set to 1/8-inch. Heat 1/2 teaspoon of the rosemary olive oil in a medium skillet over low heat and place a cup full of water nearby. Add the shallots to the skillet, breaking them apart with a spoon, with a pinch of salt. Cook, stirring, until the shallots begin to caramelize. Stop stirring and increase the heat to medium-low. 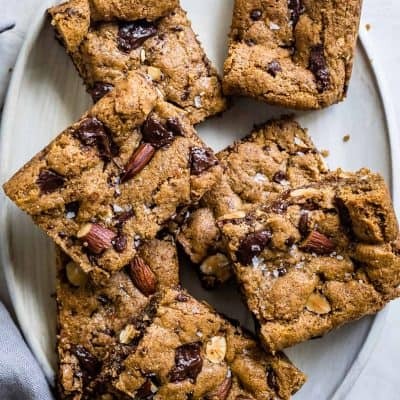 Once a brown glaze has formed on the bottom of the skillet, pour 1 tablespoon of water into the pan to deglaze it, using a spatula to scrape up any brown bits and stirring them into the shallots. Repeat this process until the shallots have been thoroughly caramelized, 8-12 minutes. Transfer to a bowl and set aside. 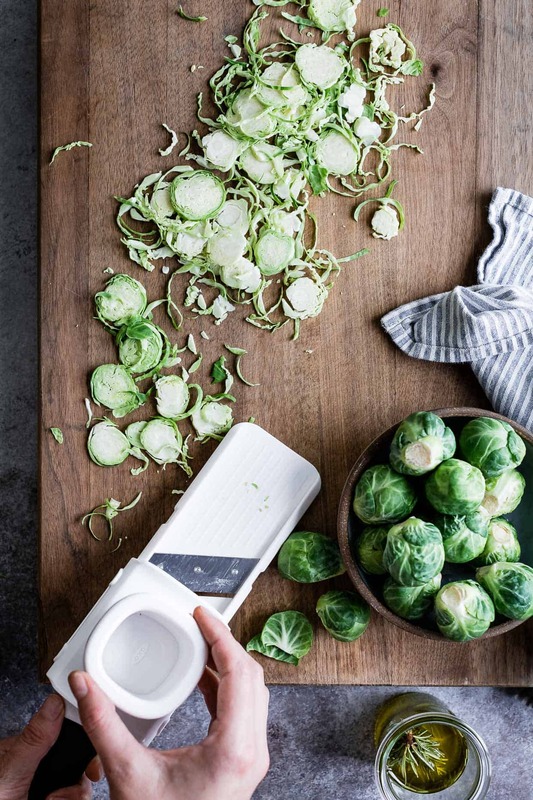 Toss the shaved brussels sprouts with 1-2 teaspoons rosemary olive oil, apple cider vinegar, and pinch of salt and pepper. Set aside to marinate. Once the potatoes and garlic are done, peel and mince the roasted garlic. Increase the oven temperature to 450°F. Place your par-baked pizza crust on the OXO Non-Stick Pro Pizza Pan. 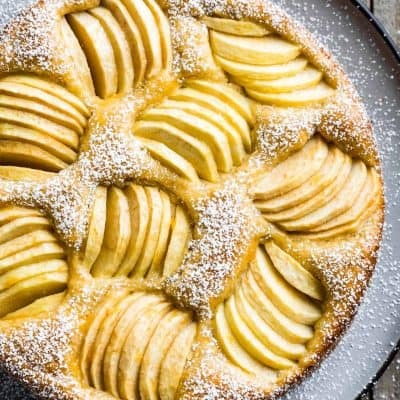 Brush 2 teaspoons rosemary oil over the crust and sprinkle the minced roasted garlic on the crust as evenly as possible. Lay the torn mozzarella all over the crust as evenly as possible. Top with caramelized shallots then sprinkle with 3/4 of the grated gruyère. Top with roasted potatoes, overlapping as needed. Sprinkle the remaining gruyère over the top, then, using the OXO Medium Grater, grate the parmesan cheese over the potatoes. Bake for 5-8 minutes until the cheese melts and the crust begins to turn golden brow. Remove from oven, transfer to a board for slicing. Slice and top each spice with brussels sprout slaw. I am all about potatoes on anything and everything. This pizza looks so amazing!! This looks perfect! 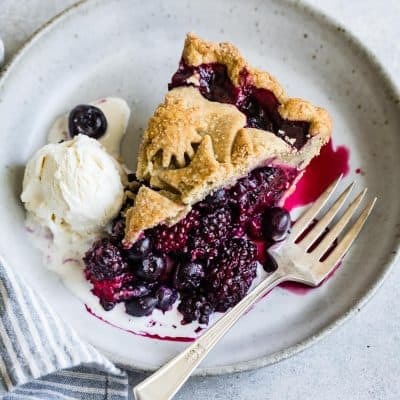 I love your recipes and your Zoella stories! 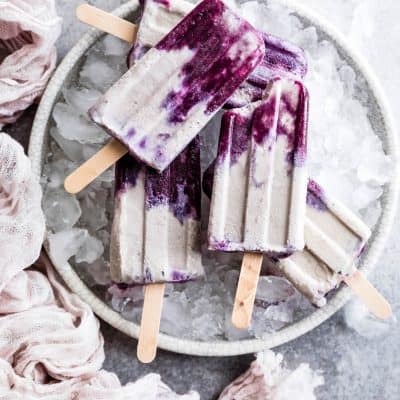 Ugh…this looks so good! Is it okay that I want this for breakfast right now? 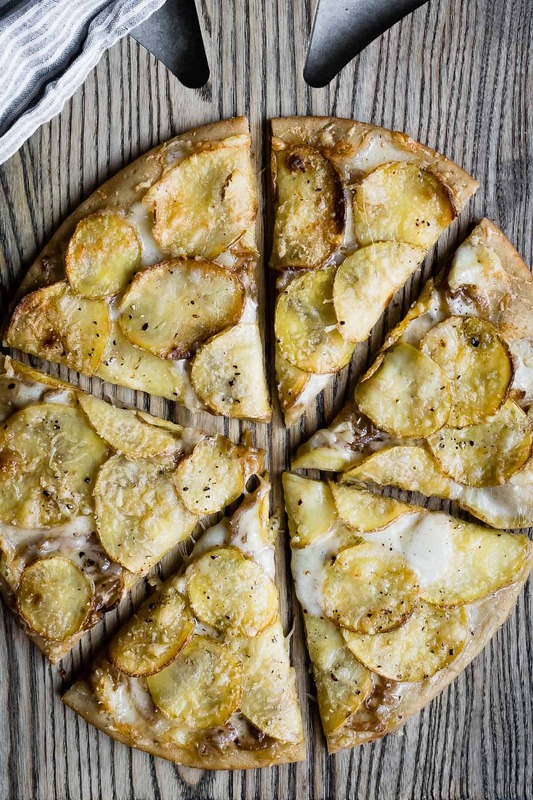 Potatoes on pizza. I don’t think there’s much more to say about anything in the world. This is it. You win. Will definitely be making this over the weekend……I love brussel sprouts in the fall…and actually all year long! 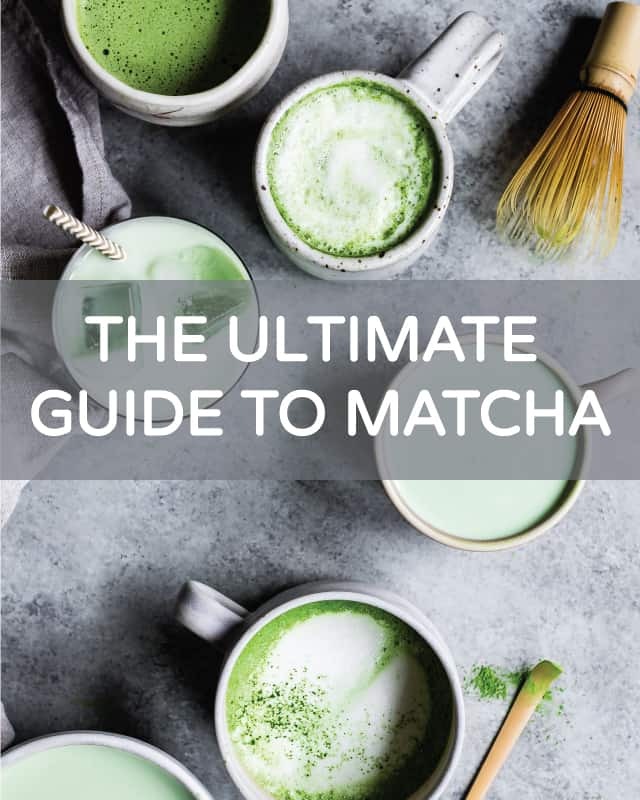 Made this tonight – Fantastic!